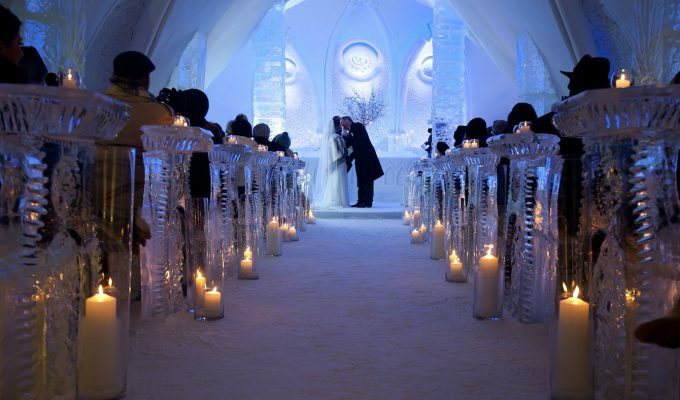 There are some fantastic honeymoon hotels right here in the UK. If you’re looking for something within driving distance, we may have something perfect for you. 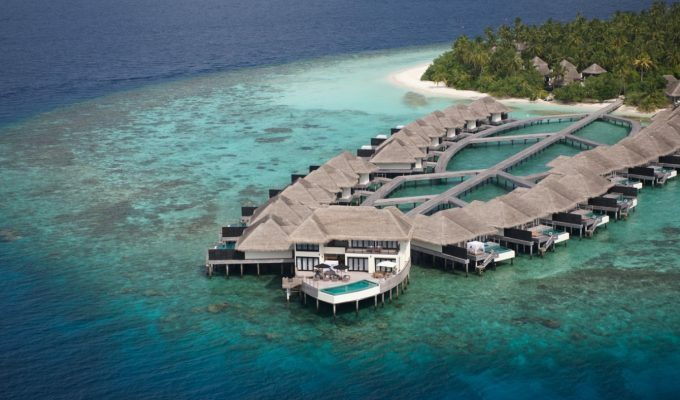 Just because you’re honeymooning here in the UK doesn’t mean it can’t be luxurious! We’ve picked out some fantastic hotels from up and down the UK, with a little help from our friends at HotelTonight. If you’re yet to discover their handy App, do give it a download! It enables you to book hotels last minute straight from your device at unbelievable prices. All hotels in their huge database are vetted by the HotelTonight team. Those who want to escape the hustle and bustle of the capital without escaping London itself might appreciate checking into Belgraves for their mini-honeymoon. This boutique hotel can be described as Britannia meets Bohemia. The rooms are chic and eclectic, oozing the effortless luxury with contemporary lines and dark, rich textures. With its discreet private club feel, Belgraves has the vibe of a sleek hideaway. Unwind after the big day at the intimate library lounge or with a drink and a cigar at the terrace. Hungry? No problem, you don’t even need to leave Belgraves for a world-class meal. Pont St. restaurant offers a galaxy of flavours, curated by the chef Sophie Michell. If you decide to leave the quiet oasis that is Belgraves, there are plenty of things to keep you entertained, including numerous internationally renowned shops, restaurants and attractions based in the upscale neighbourhoods of Knightsbridge and the Kings Road. If that’s not enough, central London is a mere three kilometres away. 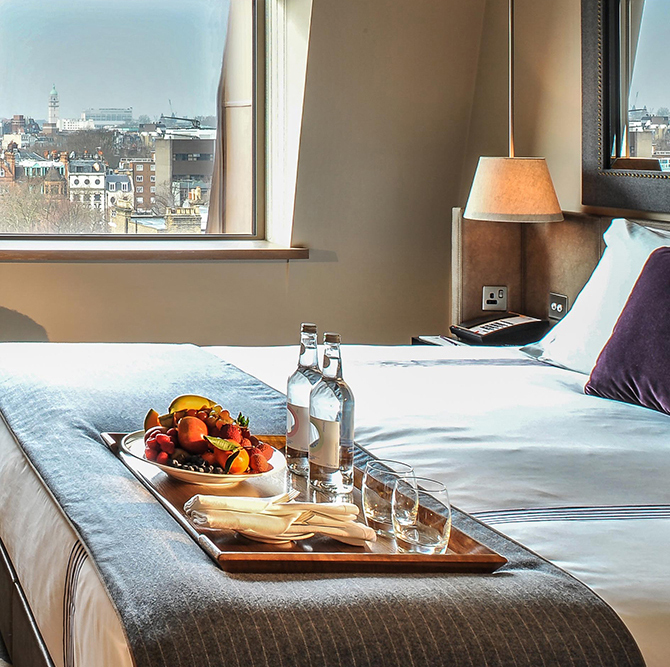 However you choose to spend your mini-moon, Belgraves makes for a luxurious London hub. Sherbrook Castle Hotel is more than just a mere hotel. It’s an opportunity to take a step back in time and escape to the late 19th century for your mini-moon. Built in 1896, Sherbrook boasts a number of unusual features – from the arrangement of rooms around three sides of a large hall and a staircase, to the romantic Baronialism on the outside of the building. In fact, its high square tower is one of the best-known local landmarks. This magnificent Baronial building offers luxury bedrooms, including a very special tower suite, a bar and a restaurant. The peaceful surroundings of the hotel are perfect for serene walks. Pollokshields, a conservation area established by the Stirling-Maxwell family in 1849, feels like a leafy Victorian suburb and is located right by the hotel. 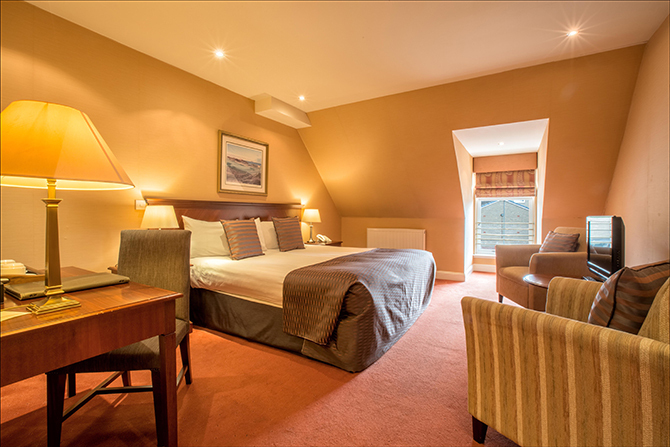 Sherbrook Castle Hotel itself is also very conveniently located – it’s only 10 minutes away from the city centre and 15 minutes from Glasgow International Airport. If you feel like exploring the city, the world famous Burrell Collection, Bellahouston Park and the House for an Art Lover are nearby. Alternatively, those who are looking to embark on a road trip for their mini-moon will find that the M8 and M77 Motorways are within easy access. 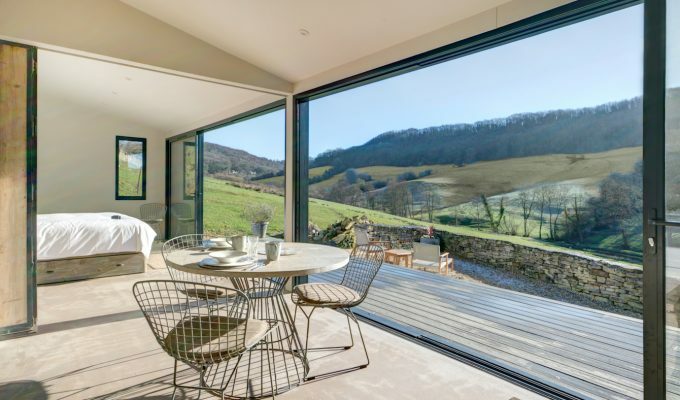 The clue is in the name when it comes to A Room With A View. This boutique hotel on Brighton seafront offers exceptional views of the seaside. The tastefully and individually styled rooms make for a cosy mini-moon hideaway, where you don’t even have to leave your bed to take in the sights of the beach. Each of the nine rooms offers everything and anything you could need during your stay, including bathrobes, slippers, a flat-screen smart TV with internet access, desk, complimentary refreshments, Nespresso machines and a mini bar. But if that’s not enough, the top floor room comes with a private balcony and breathtaking views. A Room With A View’s ideal location not only boasts an outstanding view, but also offers easy access to all of Brighton’s top attractions. Brighton town centre is also only 10 minutes away, which is perfect for brief romantic strolls. However you choose to spend your time in Brighton, A Room With A View is never far away. Velvet is more than just a great hotel – it’s a destination. Here you can enjoy an outstanding meal and a stay that feels like home away from home. Velvet’s rooms are designed to an exceptionally high standard and equipped with all of the necessities… and more. 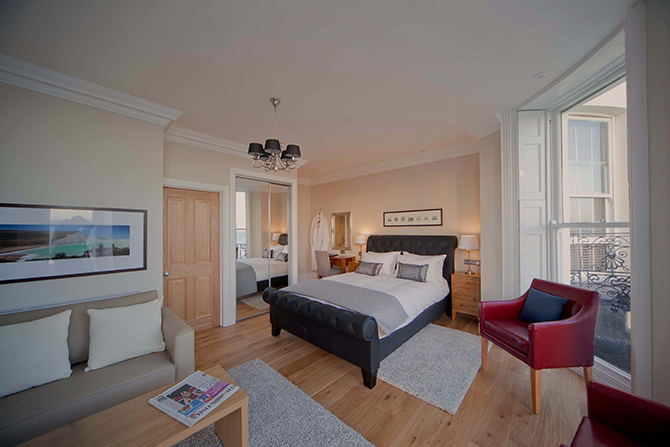 This includes individually controlled air-conditioning, large digital TV, complimentary Wi-Fi access, bespoke tea and coffee making facilities, iPod docking station alarm clocks, luxury bathrobes and slippers, hair-dryer, ironing station, mist-free mirrors and clean bio active REN toiletries. If you don’t feel like leaving the hotel (and with all of the above on offer we wouldn’t blame you if you didn’t), the two of you can cosy up in the hotel bar or the award-winning restaurant. The restaurant in itself is a reason to visit Velvet with its delicious dishes and al fresco dining terrace by the canal. That’s not all, though. If you feel like partying all the way through your mini-moon, then Velvet’s got you covered. The hotel offers a special Clubbing Package, which includes a room above the bar, so you can party without leaving your room. There’s no better way to kick off a marriage than with a dance-off. 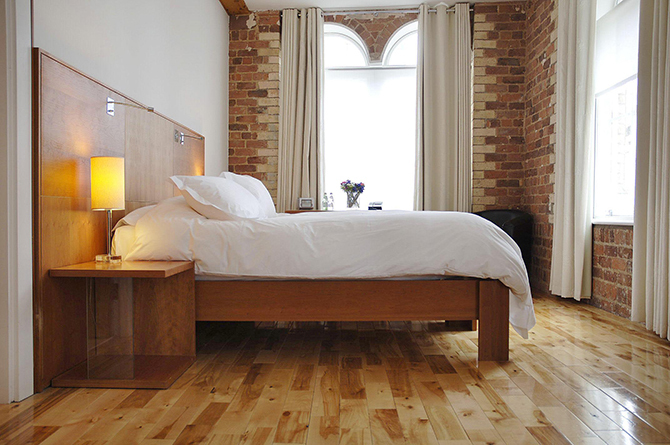 Hope Street Hotel, Liverpool’s award-winning boutique hotel, will make you feel at home with its solid wood floors, bespoke furniture, REN toiletries, speedy Wi-Fi and pristine white Egyptian cotton sheets. The hotel is a mix of chic and urban, offering friendly service, help with travel arrangements and a great breakfast, which you can of course enjoy from the comfort of your room if you two so please. When it comes to Hope Street, it’s the little things that make it stand out. Want to take your dog with you on your mini-moon? No problem, four-legged companions are more than welcome here. Like your beds on the larger side? Sure thing, Hope Street’s beds all come oversized. Can’t stand cold floors? The floors are all heated. 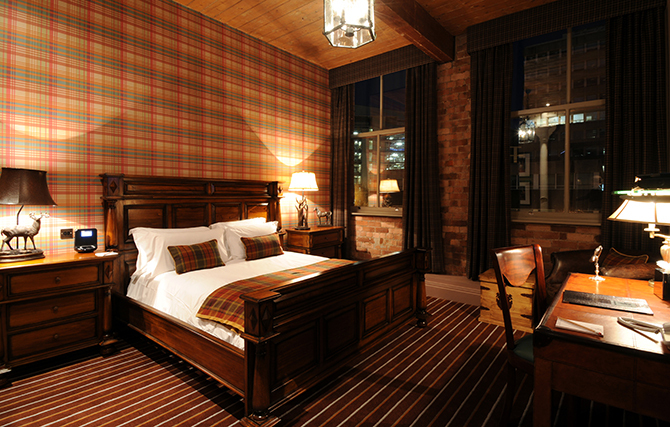 Located in Liverpool’s cultural quarter, Hope Street Hotel is just a short stroll away from trendy restaurants, bars and the Philharmonic, making it perfect for a romantic mini-moon with a bit of culture on the side. Student marries and graduates on the same day!